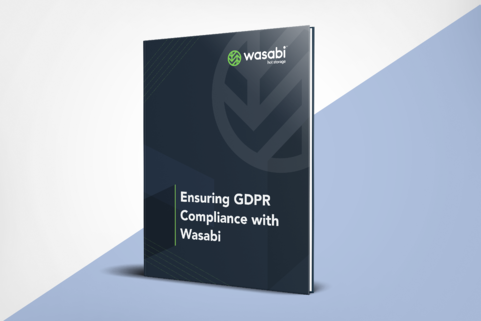 This white paper provides a brief overview of the GDPR statute and explains how Wasabi helps organizations comply with GDPR rules for safeguarding personal data. The EU General Data Protection Regulation (GDPR) is intended to provide citizens greater control over their personal data. The law takes effect in May 2018 and applies to any organization that has a presence in the EU or that offers goods or services in the EU. GDPR imposes strict data privacy and security rules for businesses and IT service providers. The mandate requires appropriate safeguards to protect the privacy of personal data; defines consent rules for disclosing personal data; and grants individuals the right to examine, correct and delete personal records. Businesses and institutions can use Wasabi to store and maintain electronic records in accordance with EU GDPR. The Wasabi cloud storage service is engineered to ensure the privacy and integrity of personal data. Wasabi is built and managed according to security best practices and standards, with GDPR data privacy and security requirements in mind.